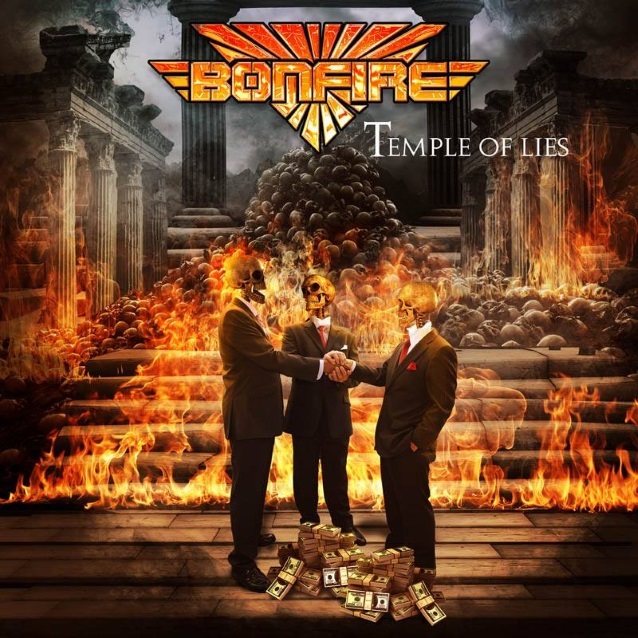 German hard rockers BONFIRE will release their new album, "Temple Of Lies", on April 13 via AFM Records. Few German rock acts can look back at as long and successful a career as BONFIRE. Counting the predecessor — a group called CACUMEN, which was also founded by Hans Ziller and featured more or less the same lineup — the band has been around since 1972, has operated under its current moniker since 1986 and released more than two dozen albums. During the most successful phase of the career, BONFIRE was counted alongside the SCORPIONS and ACCEPT as among Germany's three internationally most acclaimed acts, celebrating major success all over Europe and worldwide. 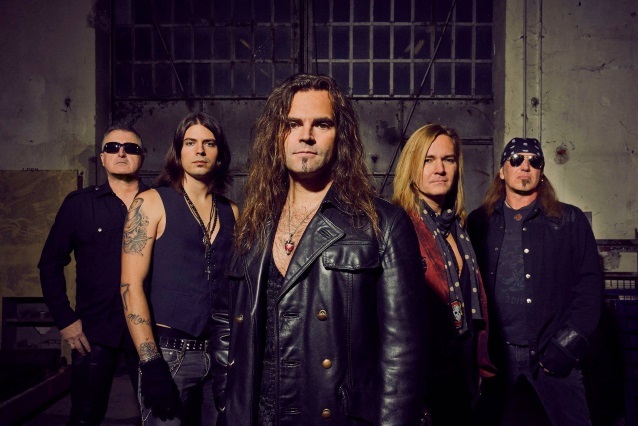 BONFIRE's trademarks are and have always been deeply melodic hard rock songs, driven by captivating guitars, grooving rhythms and haunting vocal melodies. 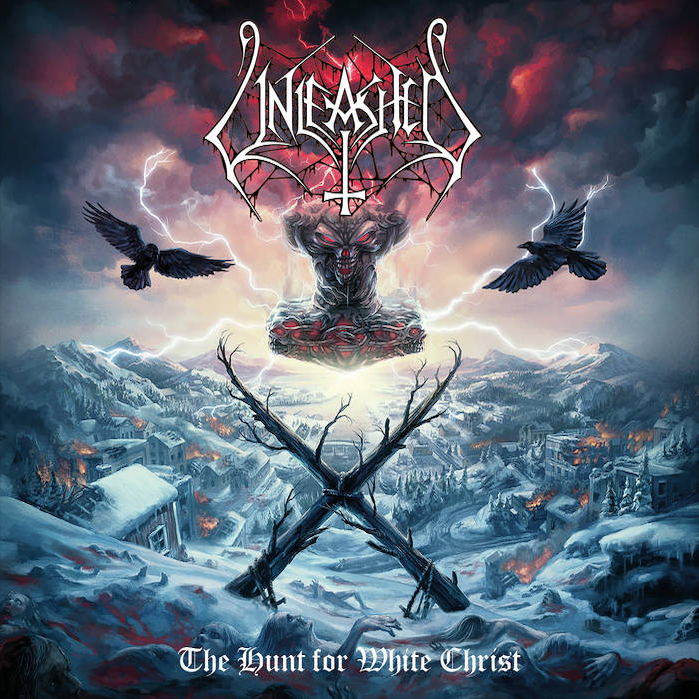 All the features that came together so perfectly on their most popular releases "Fireworks" (1987), "Point Blank" (1989) and "Branded" (2011) are present on their current release "Temple Of Lies". Thanks to new vocalist Alexx Stahl, who joined the fold two years ago, and a first-rate lineup on all instruments, the band's creativity explodes on "Temple Of Lies" and is bound to wow a younger generation of rock music fans, too. It's not only the occasionally tougher pace that impresses on "Temple Of Lies" (produced by Hans Ziller at the Flatliners Recording Studios in Ingolstadt) from the first to the very last note, but also the album's diverse high-quality songwriting in general. 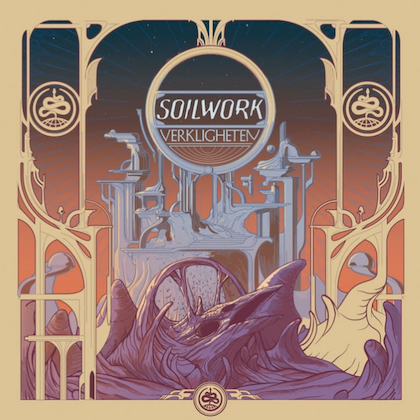 The programmatic album title and expressive cover artwork prove that Ziller & Co. also live up to the responsibility as socially aware musicians, taking to task "the lies of our world and politicians."